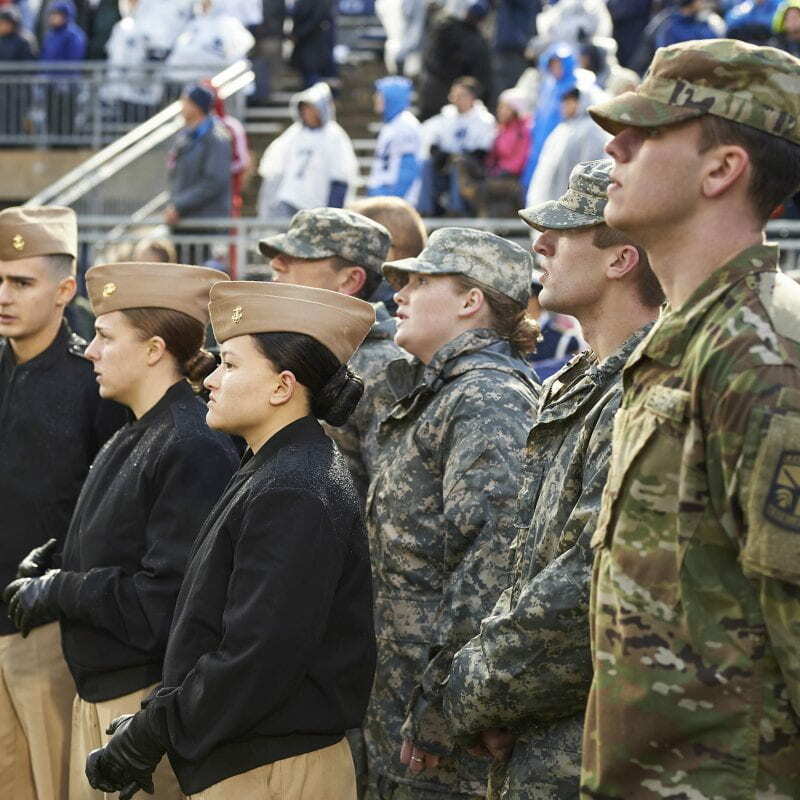 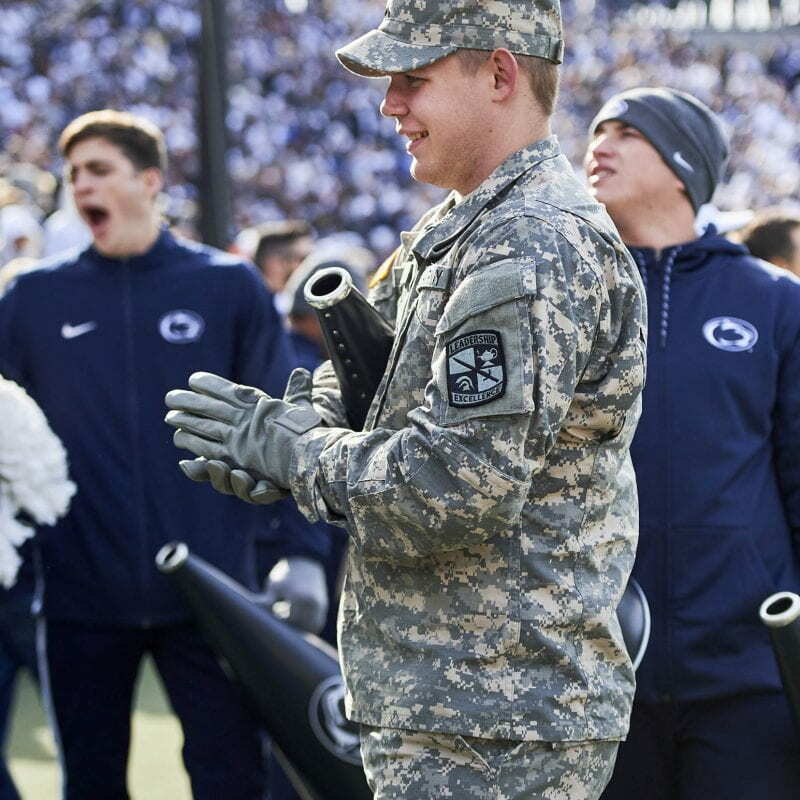 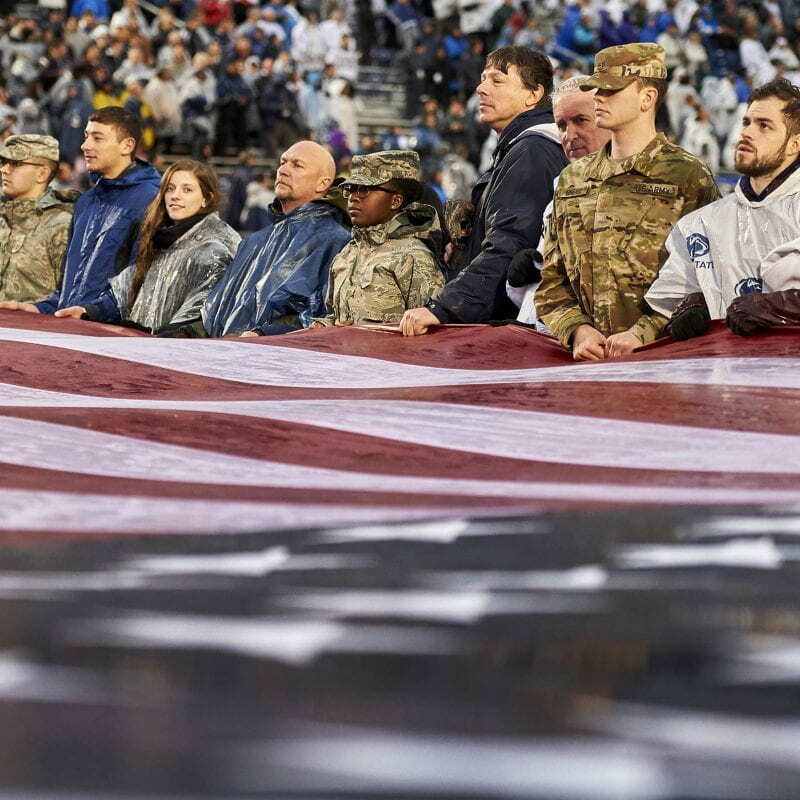 On the 11th of November, 2017, the Penn State football team put together a ROTC/ Military appreciation day for past, present and the future military members of our great nation. 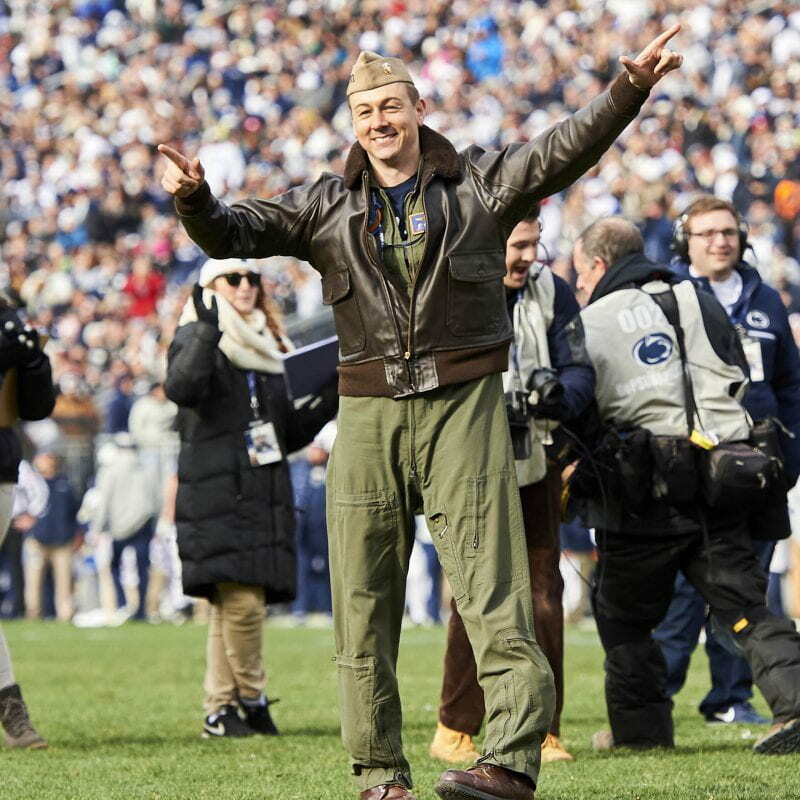 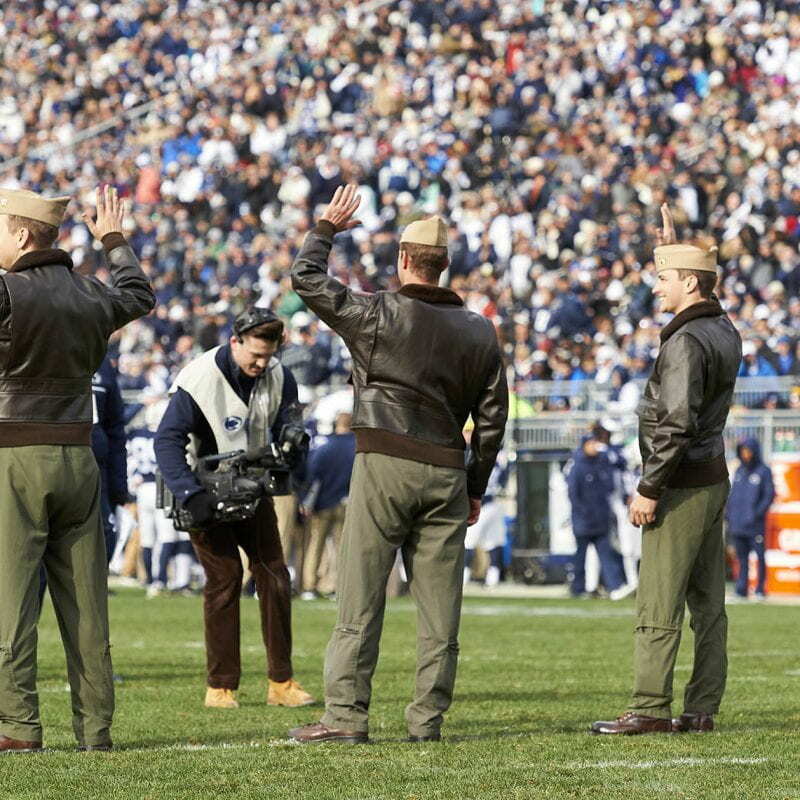 The game was introduced with an F/A-18 flyover from a few US Naval Pilots, some of which were PSU Alumni! 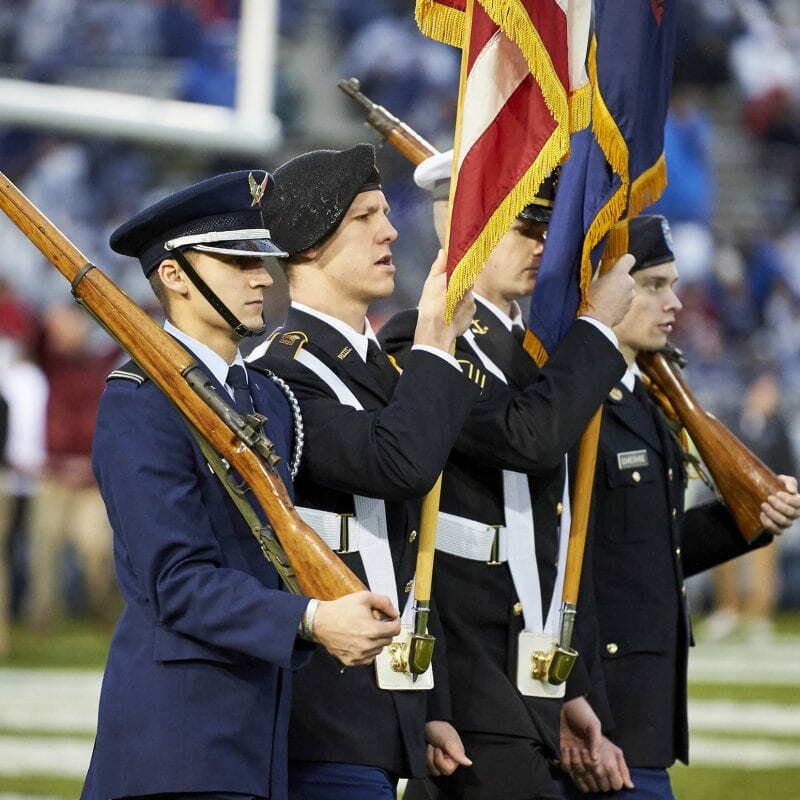 There was also a group of cadets and MIDN who had the privilege to participate in flag unfurling, as well as the color guard on the field. 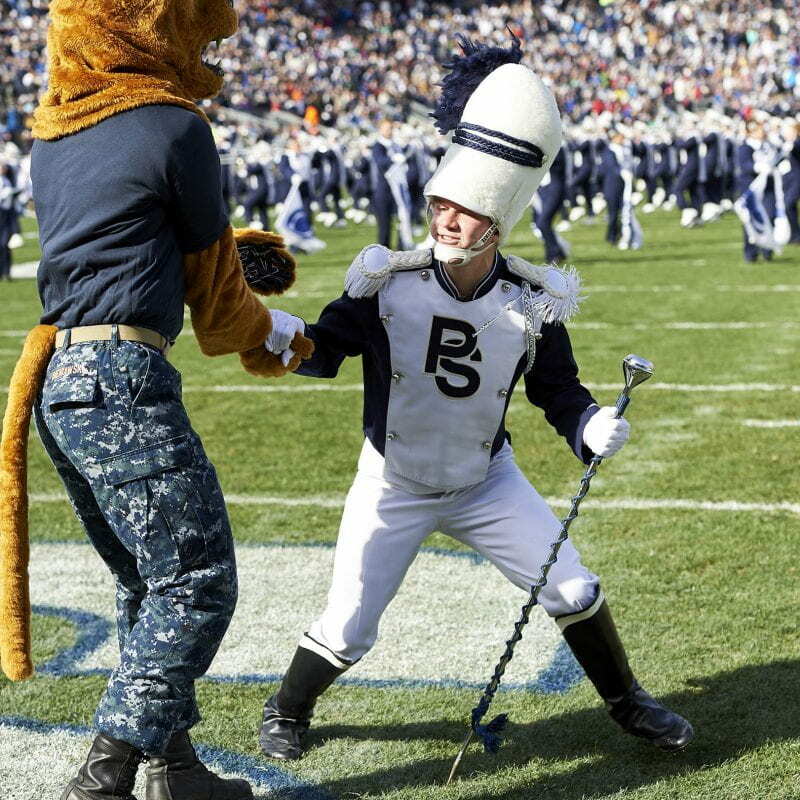 Almost most importantly, the Nittany Lion himself represented the navy well in his NWU’s!! 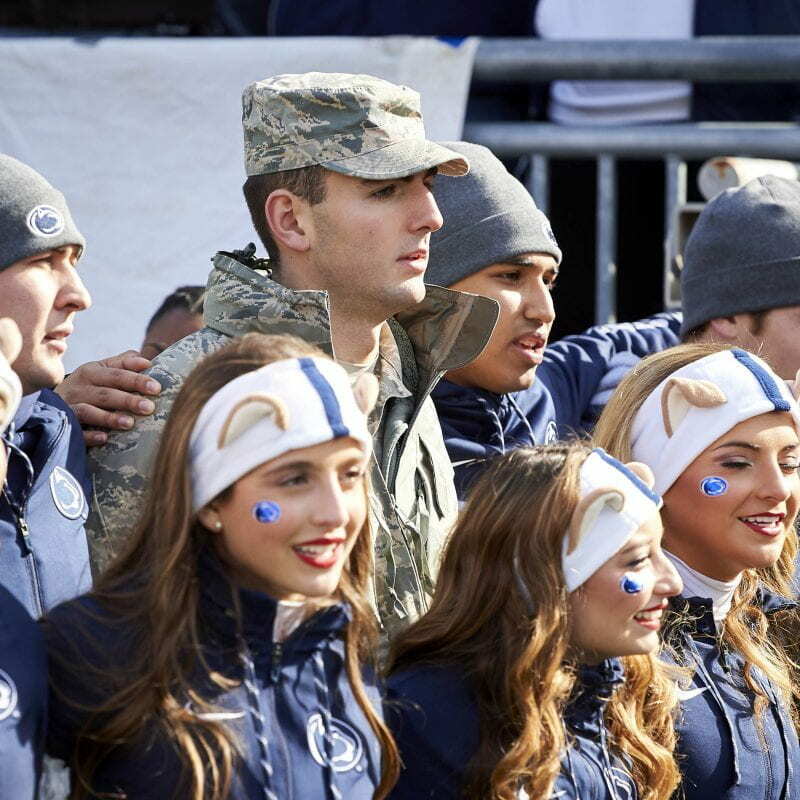 After the game, Mr. Krapf generously hosted a tailgate for all the MIDN. 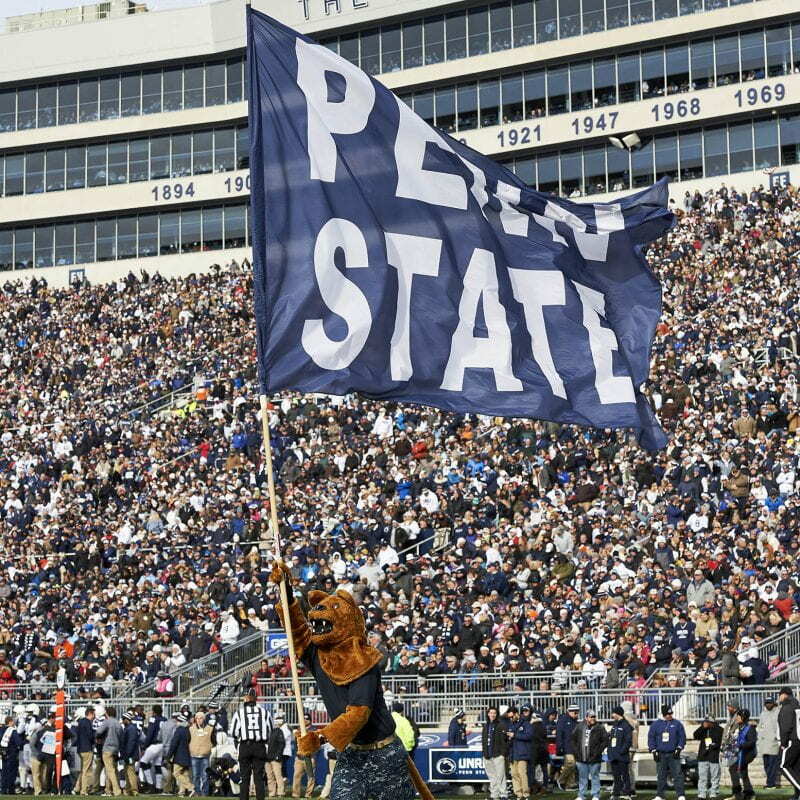 The food was great, and the memories were even better. 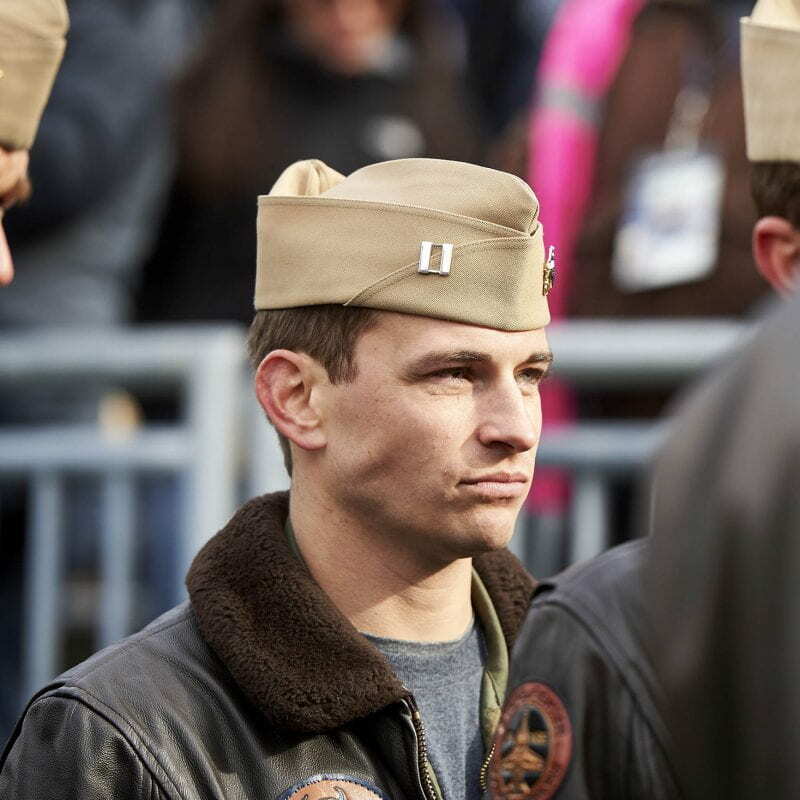 It was a great opportunity for us to hear old alumni’s stories, as well as a fun time for them to see all of us, excited for our future in the corps and in the fleet.